When I first started blogging, I kind of had no idea what I was doing. I didn’t know the terms. I didn’t know what an “opt-in”, “welcome sequence”, or “landing page” was. Financial situations made us broker than I care to remember and I was trying my best to do this blogging thing as close to free as possible. However, even then, I knew if I wanted to make money I had to treat my blog like a business. So I invested in education. And that’s when I started hearing all these terms. These strategies were tossed at my face and I started to feel.. well, dumb! Now, I am a college educated person in my late 20s. I’m fairly tech savvy and can work my way through most computer programs. I knew I wasn’t unintelligent but let me tell you, I wish I had a picture of the look on my face when I opened my WordPress dash for the first time! Anyway, YouTube is generally the place I go when I have no idea what I’m doing. So I started researching landing pages and that’s when my heart sunk. So many options, so many opinions, so much money on programs like LeadPages, Optimizepress, etc etc. I couldn’t afford another monthly payment. I just couldn’t justify it. So, back to YouTube I went to try to find a “free” solution. And I’ll be honest, my landing page sucked. It really did. It didn’t convert, it looked awful, and I guess that’s what I get for trying to go the “free” route. That’s when I found another option: Thrive Architect (it was called Thrive Pages when I purchased it). It did cost money, but it wasn’t a monthly payment. So I saved up and bought it. 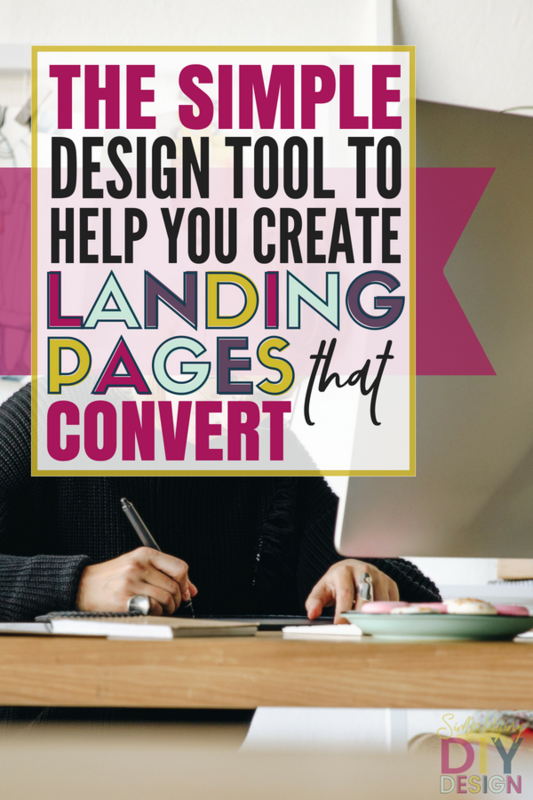 Let me tell you, it was a game changer for my landing pages (now that I was also at a point that I knew what the hell a landing page was). I actually could now create professional, well-designed landing page with minimal effort and they actually converted! When I switched my domain for the first time, I tried to live without it since I had only purchased a single-license. Long story short: I could not, I purchased the multi-site option about a week later! When I tell you I have zero knowledge of code, I mean it. I really wish I could channel my inner teenager because she had the most decked out myspace of all her friends. But alas, that was like 15 years ago and any code skills I may have previously had are long gone. So I knew I was going to need some kind of easy to use, drag and drop builder. I really liked LeadPages but didn’t want that monthly fee. Thrive Architect is extremely similar when it comes to the drag-and-drop capabilities. In some ways, there’s actually more I can do with Thrive. Thrive provides tons of templates to give you a jumping off points. Similar to my Canva templates, you just switch your colors and fonts to match your brand. 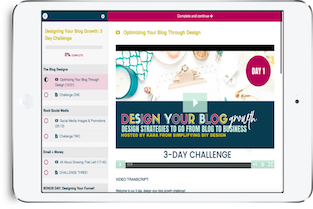 Add your content and any other sections you need using the drag and drop builder and you’re done! No knowledge of code required. If you’ve been hanging around my site for any time at all, you know I’m a big fan of efficiency and using templates to save time. Same goes for my landing pages. Once I have my sales page created using the drag-and-drop features, I don’t want to start from scratch each time I need a sales page. Their templates are great, but I generally follow the layout suggested in the Product Launch Formula when creating my sales pages. Which is a little more involved than any of the general templates provided by Thrive. Thankfully, thrive actually gives you the option to save any page you create, as a template. Then, when you’re ready to create your next project, you can just upload it and most of the work is already done. It already matches your brand, the layout is already the way you want it, all you have to do is switch out the product image and the copy. The world of online marketing is increasingly visual. Graphics matter. Presentation matters. Your words aren’t the only ones responsible for making that sale. 90% of snap judgments are made on graphics alone. We are all guilty of judging a book by its cover and I think a big reason for that is trust. I need to trust that a website is professional, secure, and not sketchy before I’m willing to put my email in– let alone credit card info! So I’m here to tell you: I’ve you want to grow that list. If you want to makes those sales. You will need to invest in a tool like this. Thrive is the best bang for your buck. It’s simple to use, easy to customize and will help you save time designing your pages. I’ve even used thrive to set up my design library and shop page as well! ESSENTIAL CANVA TEMPLATES FOR A SUCCESSFUL LAUNCH! 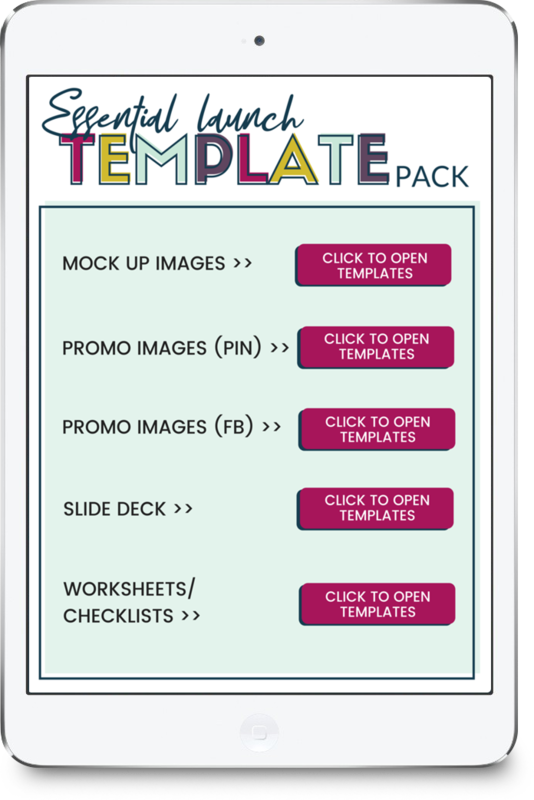 Fully Editable Canva Templates To Launch Your Next Digital Product located in our design library! Join our weekly newletter and get instant access to our design library where you can download the Essential Launch Template Pack PLUS all of our other canva templates for free!